Named by Oprah as a “thought leader for the next generation,” Marie Forleo has a mission to help you realize your greatest potential and use your gifts to change the world. She’s the creator of the award-winning online show MarieTV with over 42 million views and an audience in 195 countries. I personally stumbled upon her youtube videos, blog posts, and books when I was traveling the world trying to figure what the heck I was going to do with my life, and I’ll NEVER forget when my new husband’s face, when he saw the title of her book I was reading... “Make Every Man Want You: How to be so irresistible you’ll hardly keep from dating yourself.” He quickly asked, “What is this all about?” To whisk I replied… "Something that’s changing my life (and going to make me shave my legs more)… so you may owe this chick, Marie Forleo, a thank you note." I quickly learned, through her cleverly titled book, that loving myself & showing up in a way I was proud of was the most important thing I needed to focus on. She’s freaking brilliant, a dear friend, and someone I want you ALL to know. 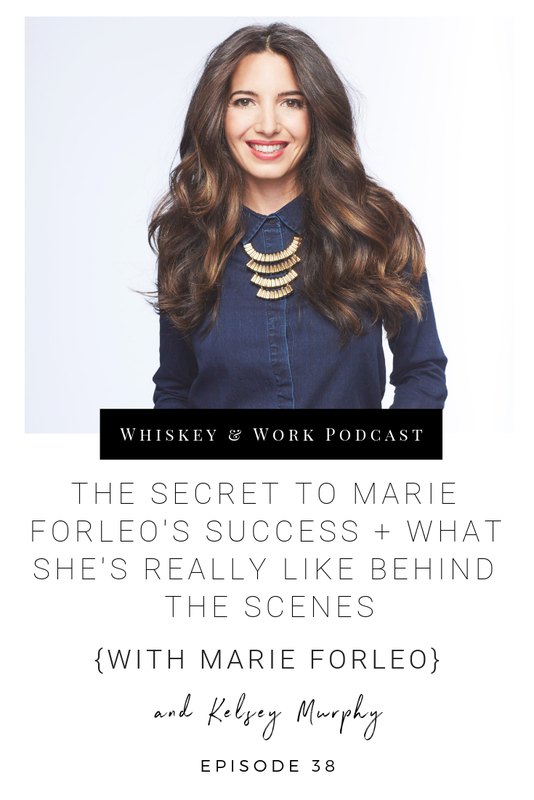 So enjoy the latest episode of Whiskey & Work with one of my favorite humans EVER - the lovely Marie Forleo. Marie’s amazing book affirms the need to love who you are. In order to grow and love others, you must show up as someone YOU are proud of. This means you must love your imperfections. In doing so, you must follow your curiosities and find your passions to create a life that you truly love. One of the most significant factors of living a long, healthy life is your environment. In our world today, the digital community is part of this environment. It too must foster growth in empathy, compassion, and love to strengthen positive relationships. In the workforce, it is so hard to let go of the logical part of your mind- you may know you are not happy in your job, but there is a stigma holding you back from getting out of that lull. All it takes is bravery and confidence. Being brave enough to quit the job that isn’t fulfilling you. Find your passions by following your curiosities. Be confident that by stepping into your passions, you are stepping into a future of fulfillment… into a better, stronger, healthier you. Allowing yourself to ask, “does this make me happy?” is where it starts. Having the confidence to open your mind to the skills that can lead you to find happiness in your work and life is where you start. When I first listened to Marie’s knowledge on personal development and life coaching, it triggered what I knew was missing in my career and work, but never wanted to admit. Marie was someone who was saying what I was thinking, while giving me tangible skills to go and find my passions… leading me to start MY business, a business that was right for me. 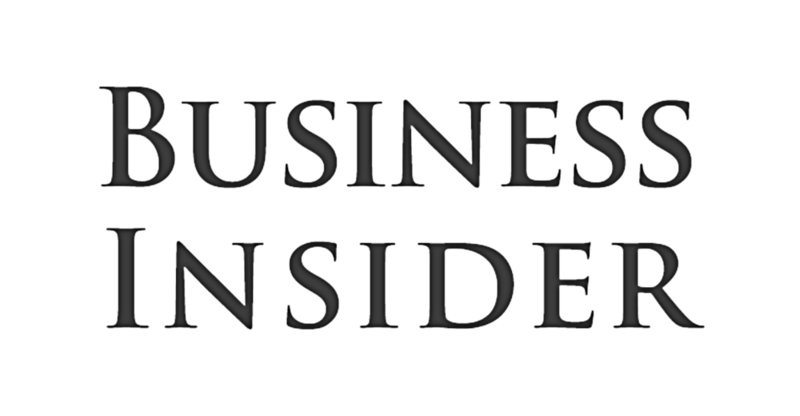 Starting that business may not happen overnight. Certainly for Marie, it took about 9 years of learning, growing, and working side jobs to financially support the goal she was pursuing, until her business, B-School finally launched. Allowing yourself the time to follow your curiosities to find your passion will lead to the business that is right for you. It is an evolutionary thing. You don’t need to know where it will be going in 2, 5, 10 years, you just need to start. It is about following the next right step. You do not have to fit the mold of a “conventional entrepreneur”... if you have several passions, create a business that blossoms from all of those. Strive to be a “multi-passionate entrepreneur.” Find your niche by combining what you love. When you follow the opportunities right in front of you, no matter the future securities or insecurities they may bring, you may find that everything begins to comes together. Marie began to see a pattern in the women she met in several environments: so many had a passion to start their own business but had a negative emotional association with it. Marie was shocked but inspired by the number of women that were misguided about the elements of starting a business. She taught these women that, by turning the outdated stigma of “marketing and sales are too aggressive” to “marketing is where your heart shines through” is what opens the opportunities for growth in your personal business. Marie wanted to teach that, “There is a path to position and market your business with your values in line in a way that amplifies the best that you are, beyond your product or service." Additionally, starting your own business creates time freedom, location freedom and financial freedom. Marie’s first workshop began on these principals. She was vulnerable to a small group of people in a basement. But we have to have these moments, where we give it all in order to get to the next step. Now B-School has over 44k graduates and continues the message of teaching timeless marketing principles. To build your business on true values, empathy, and from the things you pour your heart into.